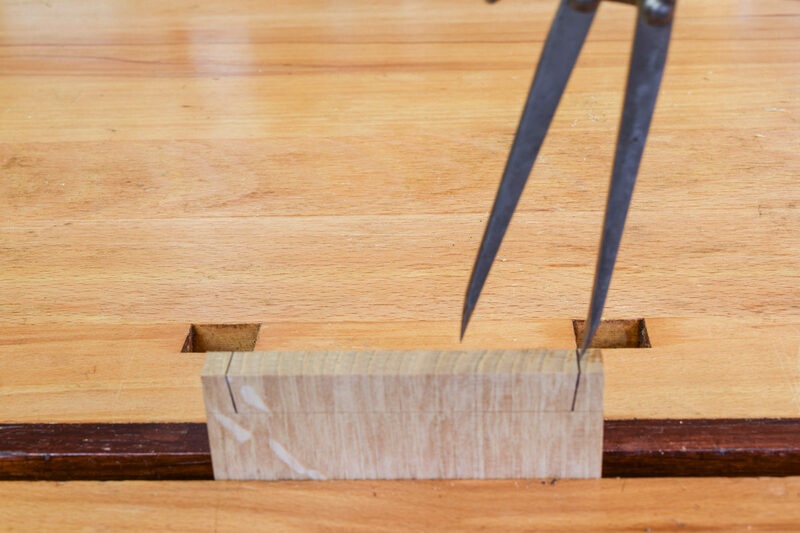 Dovetails are used to join two pieces of wood together across their width, the beauty of the arrangement being that the joint will resist mechanical pull in one direction. 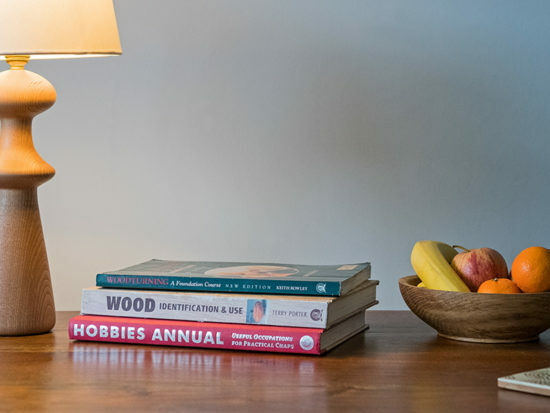 A through dovetail joint is often thought of as a high point in a woodworking project, mainly because it’s usually always ‘on show’ for all to see. 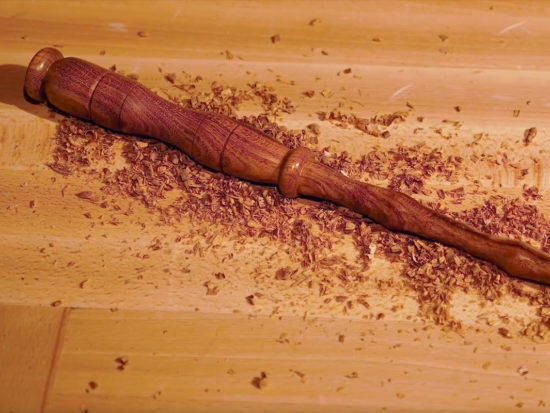 The dovetail joint is tricky to cut, but not that tricky and a few practice sessions will usually see even a relative newcomer making a reasonable stab at it. You only have to look at some of the stuff the Japanese do to appreciate that there’s a vast amount of joinery which is infinitely more complex. 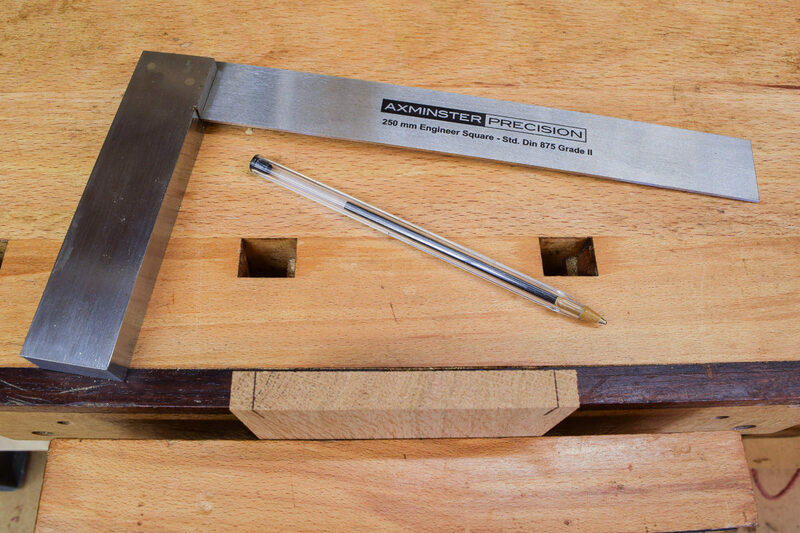 This entry covers marking out and cutting a simple through dovetail joint in oak; the type of thing that would be suitable for a small box or drawer. 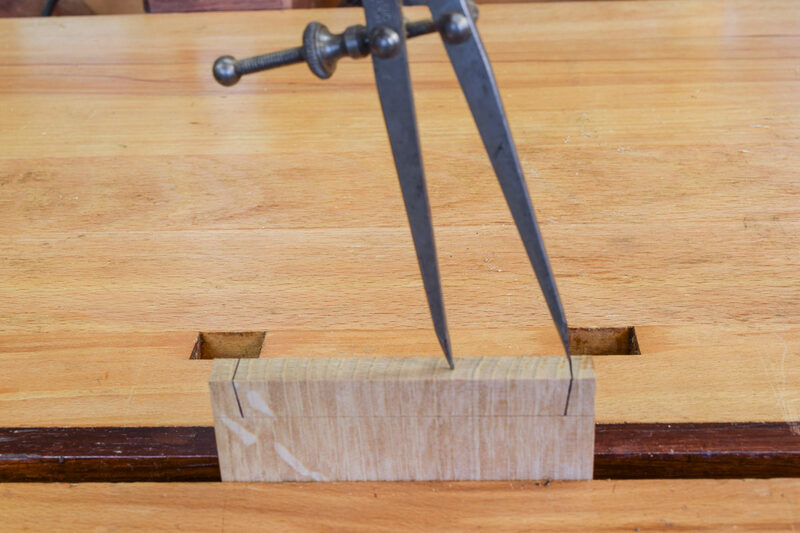 The angles marked for this dovetail joint are 1:8 which is suitable for hardwoods. 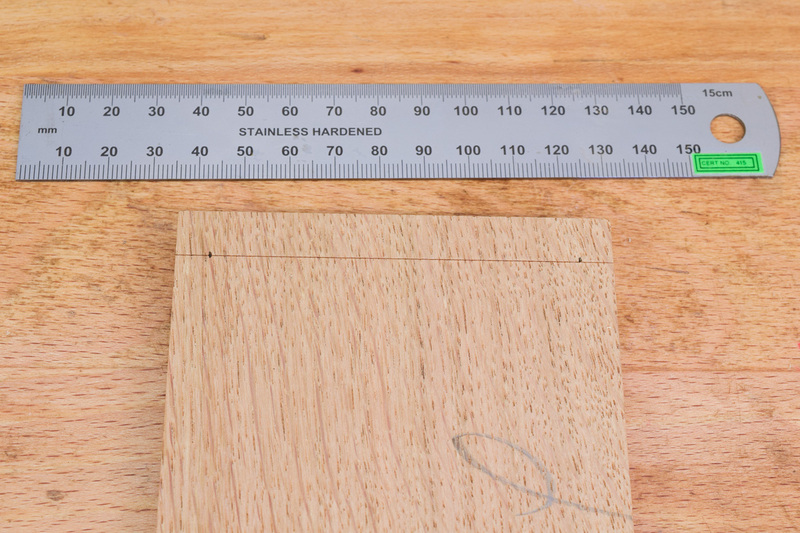 An angle of 1:5 or 1:6 is better for softwoods. 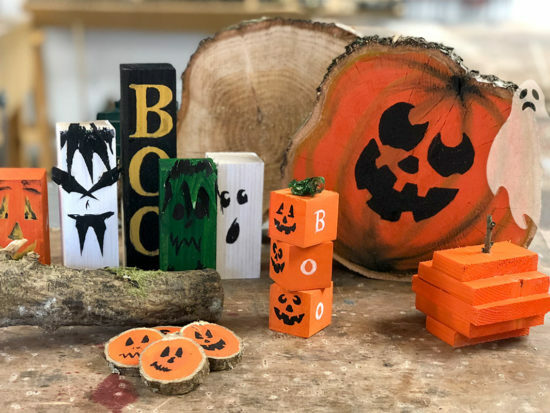 All marking out methods are essentially the same and most woodworkers will find their own variation on the theme. 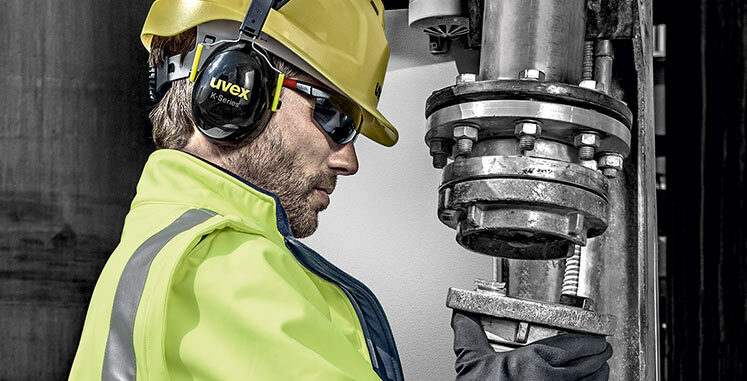 The prerequisite for accurate work is the sound preparation of the timber. 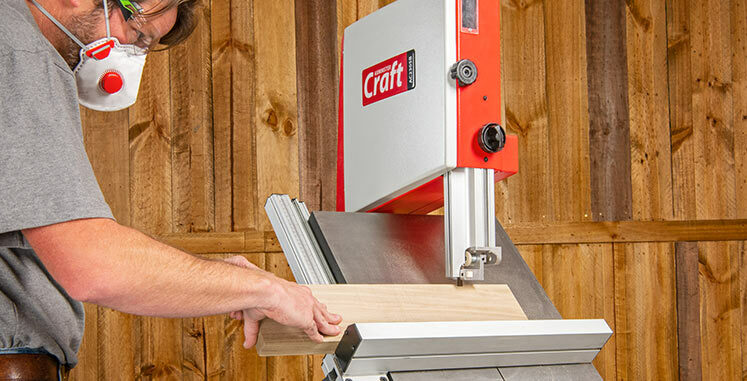 Each piece should be prepared flat and true with the ends planed dead square. 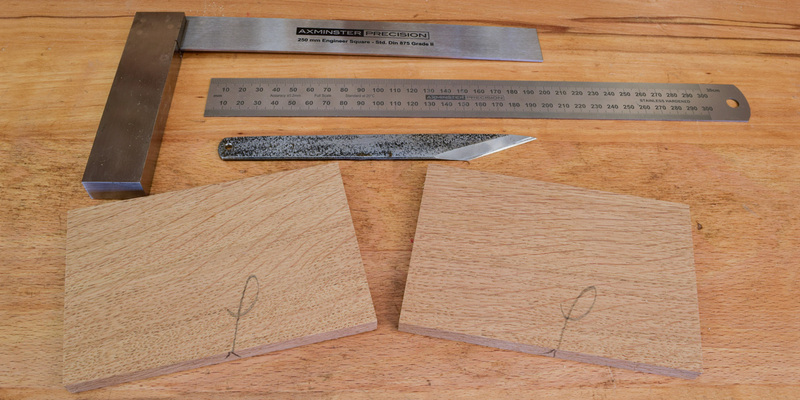 The first step is to mark the shoulder lines with either a cutting gauge or knife and square. 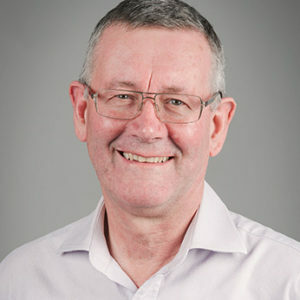 The shoulder line should be fractionally bigger (0.5mm) than the thickness of the wood to allow for a little overhang when the joint goes together. 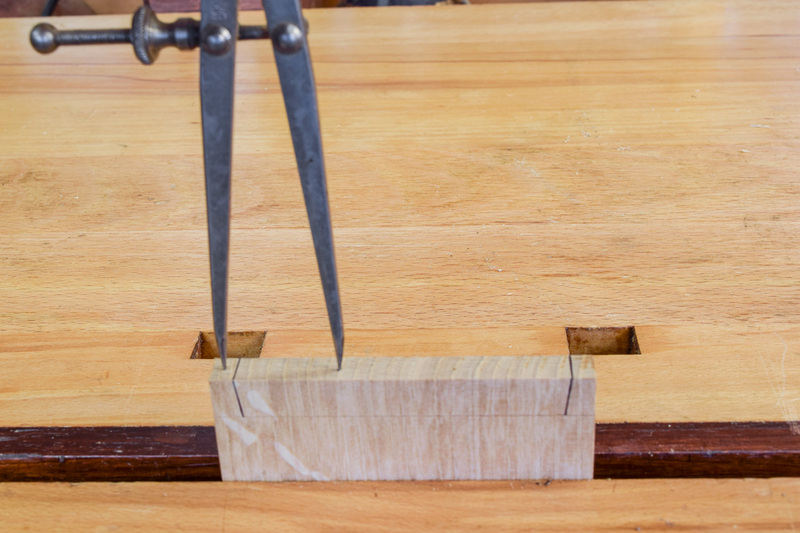 Mark out the two ‘half-pins’ at the edges on the first piece of wood. The ‘pins’ are the bits of wood between the tails so there are two half-pins; one each side. 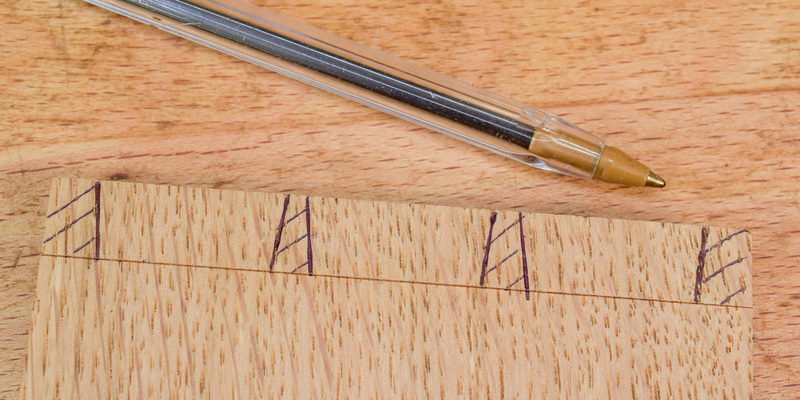 The general rule is that they measure half the thickness of timber plus around a mm, so the two dots on the shoulder line are 7mm in from each edge. 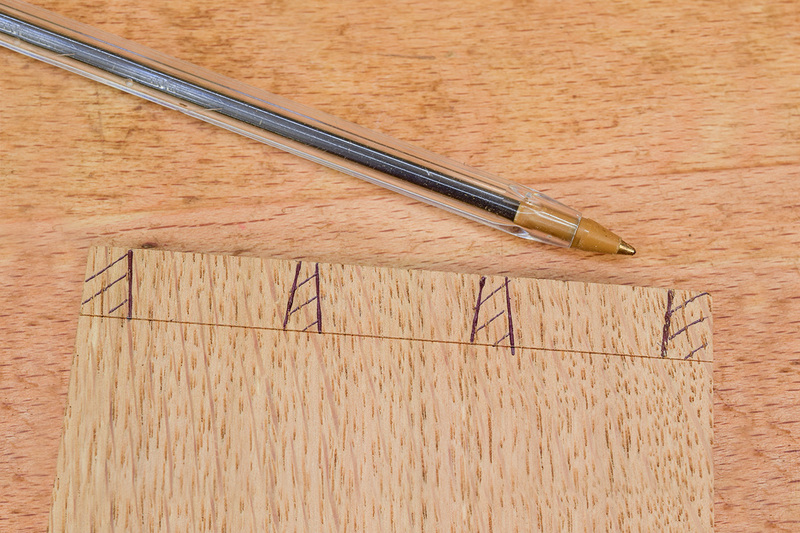 The two dots which mark the corners of the half pins are now converted into a 1:8 slope at each side, the result of which is that there’s now one large dovetail in the middle of the wood. A black biro has been used here for clarity; a sharp 4H pencil will produce a finer line, however it may be more difficult to see. Mark out the single large dovetail at 90° on the end grain. There should be roughly one dovetail each 25mm or so across the width. 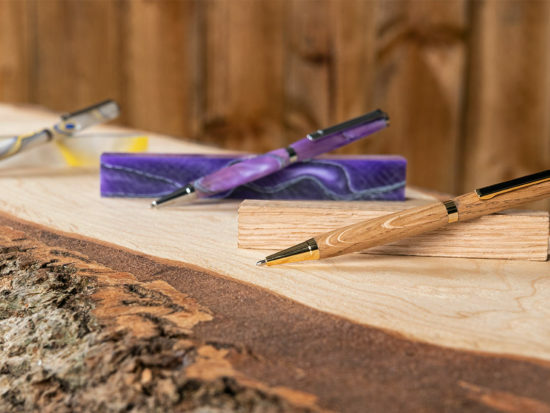 There’s no hard and fast rule so it’s up to the woodworker to use his or her judgement to decide how many are needed. The wood here is 92mm wide and as a consequence I’m going to have three dovetails. There are a number of ways to do this, but the easiest is to use a pair of dividers. 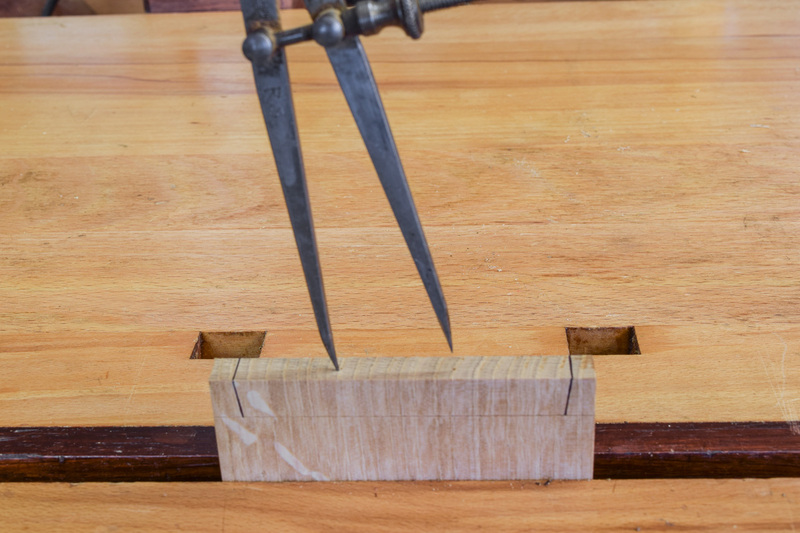 Set them to around 28mm and ‘step out’ across the end grain, starting at the right hand side. 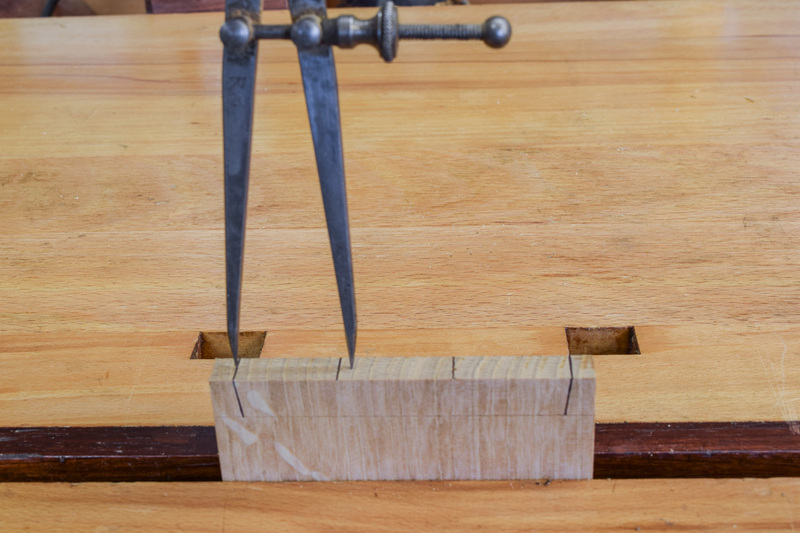 When the marking out is finished, the width of the pins along the shoulder line should be wider than the chisel that will eventually be used to clean them out. 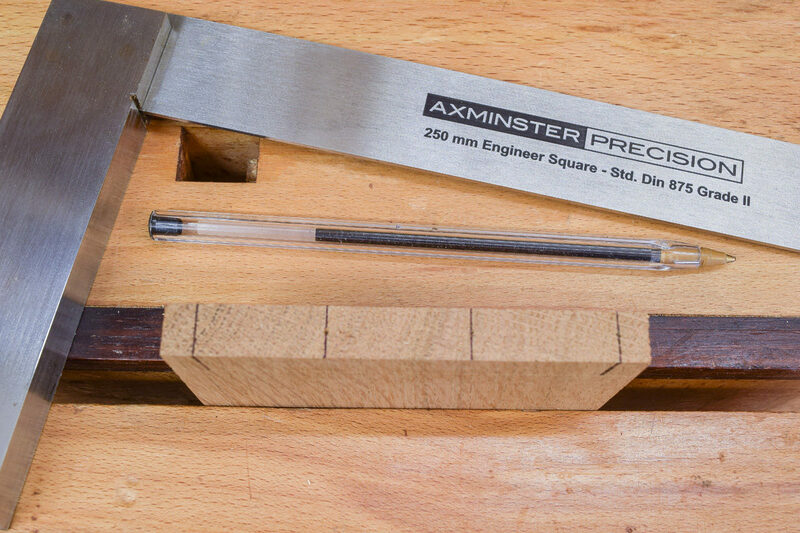 Thus if it’s intended that a 6mm chisel be used, the base of the pin should measure 7mm. 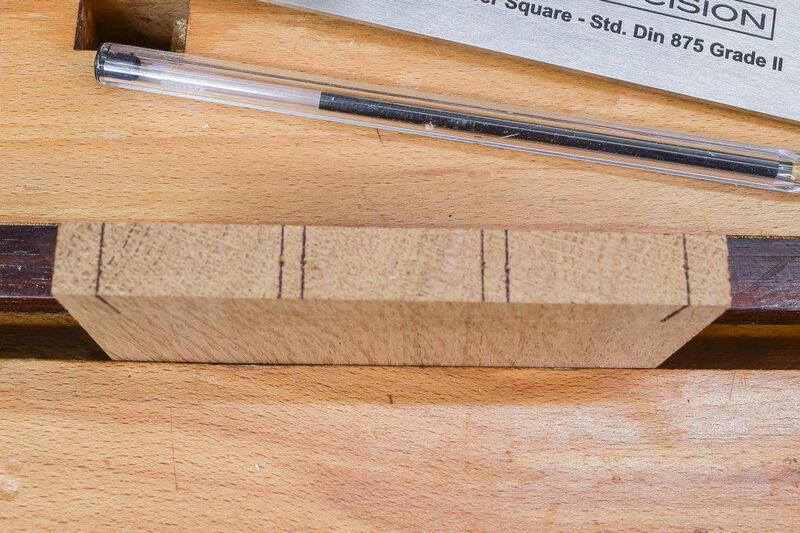 Make the first step to mark a ‘dot’ on the end grain. 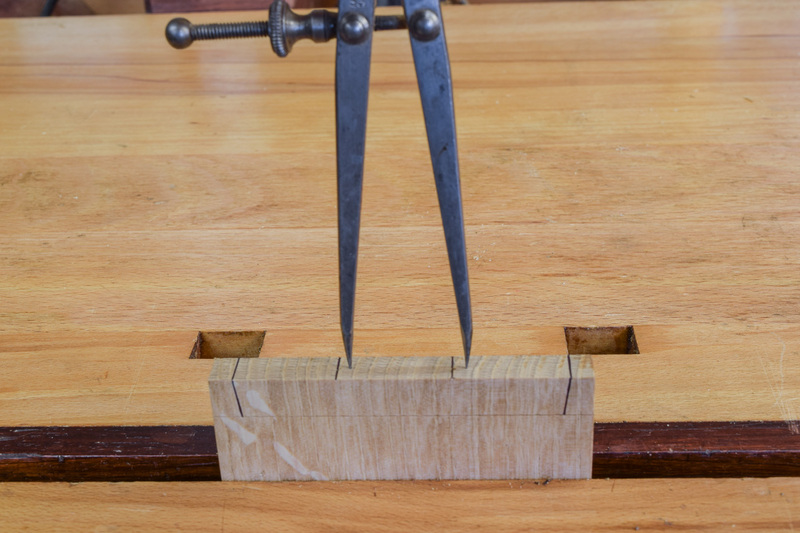 Rotate the dividers through 180° moving from right to left to make the second and third dots; the last one should be a few mm past the dovetail line on the left hand side. Turn the first two dots produced into lines across the end grain of the board. Repeat the ‘stepping out’ process twice more, moving from left to right and starting with the divider point on the left hand side line. Turn the last two dots into lines across the end of the board. Complete the marking out of the dovetail joint and shade the waste. A 3mm chisel will be used to clean out the pins so the base measures 5mm along the shoulder line.